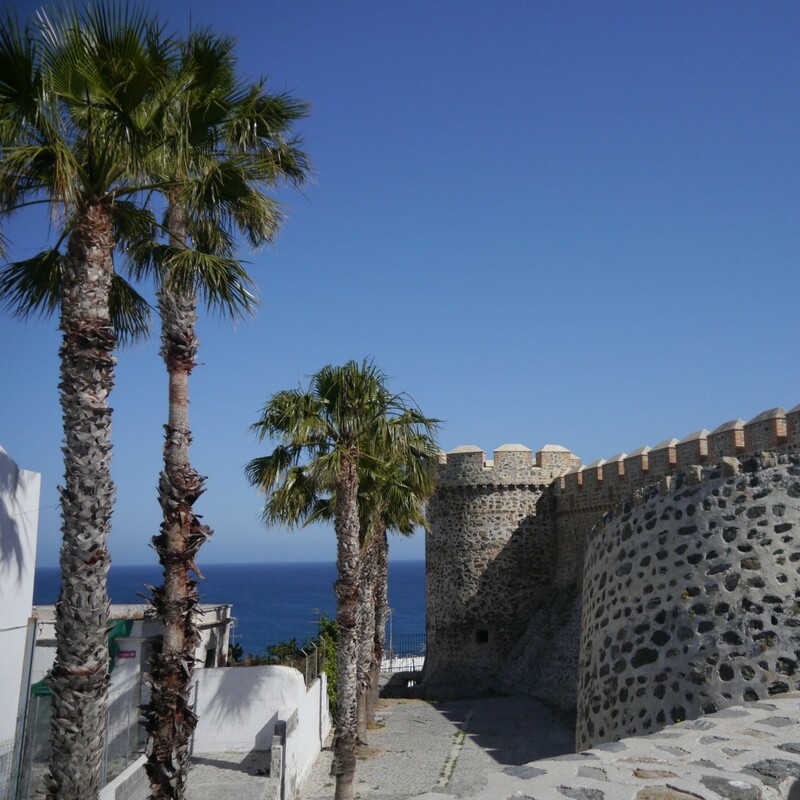 In May I was lucky enough to head to Andalusia for an entire week. I had been the year before, but for a work trip, and so was looking forward to repeating some of my favourite things — and checking out some new sites and tastes that I hadn’t gotten a chance to experience before. This palace and fortress complex was originally constructed in 889 (!!) 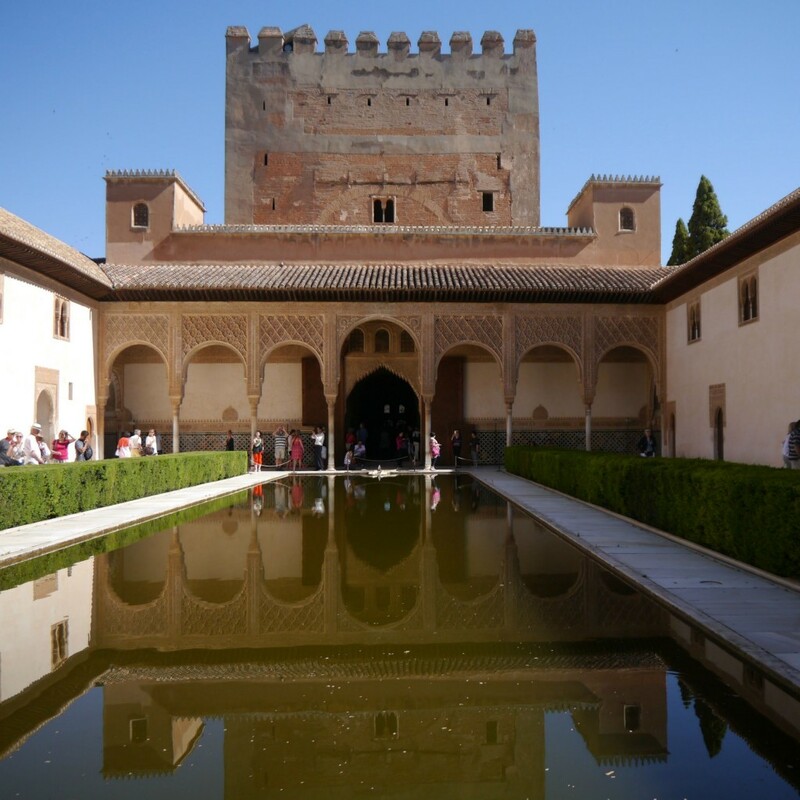 and then rebuilt in the mid-11th century by the Moors and used as a royal palace in 1333 by the “Sultan of Granada” (which is an amazing title, by the way). I’m generally interested by history but by no means am I a history buff. But this place blew. my. mind. It was my second time visiting and it was still so fascinating to me — the history and the incredible (and ingenious) architecture. If I could only see one thing in Andalusia, this would be it. I’m a little olive oil obsessed, so for me, coming to the country that has the largest production of olive oil in the world was reason enough to get excited. Many restaurants have different olive oils set out, so I (annoyingly) would collect them all on my table so I could try different varietals (extra virgin olive oil is similar to wine in that different olives can have completely different flavours — you have to find what works for you). In Spain, you’ll see a lot of Arbequina, Hojoblanca, and Picual. At one restaurant in Malaga, I picked up an olive oil soaked ice-cream. Amazing. I was even able to visit and tour an ecological olive oil farm outside of Seville that produces Manzanilla extra virgin olive oil. The farmer was extremely passionate about ecological and sustainable farming and even led us through a guided tasting of different olive oils. The food is pretty spectacular in the South of Spain. It’s particularly well suited for hot weather, so even though they had an abnormal heat wave while we were there (hitting 40°C in Seville! ), we never lost our appetites for fresh white fish, salmorejo (cold soup similar to gazpacho), eggplant with honey, and meat and cheese plates (oooh that Iberian ham). Tapas is just the best way to eat everywhere you can — try a variety of things and only eat as much as you want to, sharing with the whole table. Believe it or not, I didn’t drink sangria the entire time I was there! Due to the heat, I always opted for the amazing soda/alcohol combos that the Spaniards are into, like white sherry with lemon soda (rebiujito), red wine with lemon soda (tinto de verano), and beer with lemon Fanta (clara con limón). (That last one is technically a drink for the very young, but I found it so refreshing and there was never any judgement when I ordered.) Craft Beer is also having a moment (as it is world-wide), and beer there is always served ice-cold. The people in Andalusia are some of the friendliest people I have ever come across while travelling. Culture and preserving tradition is incredibly important there, so you’ll see people of all ages out every night, socialising over tapas and drinks. We even came upon a local dance at a bar (the Sevillana, a Flamenco-like dance performed in pairs, similar to folk-dancing) and everyone was excited to teach us and have us join in. A few times, I found myself out very late (for me!) by myself and whenever I asked directions, people always went WAY out of their way to get me to where I was trying to go. Lastly, a big traveller tip for visiting Spain, about that late-night thing they do: Spaniards eat late — really late by many cultural standards. No one heads to dinner any earlier than 10pm and nightlife starts no earlier than 1pm. A lot of people I know have a hard time adjusting to this but my advice is to make that adjustment. You’ll never get an authentic experience eating out at 8pm and you’ll never see any nightlife before midnight. Shift your schedule, sleep in super late (even if that means missing breakfast at the hotel) and stay up late. It’s worth it.